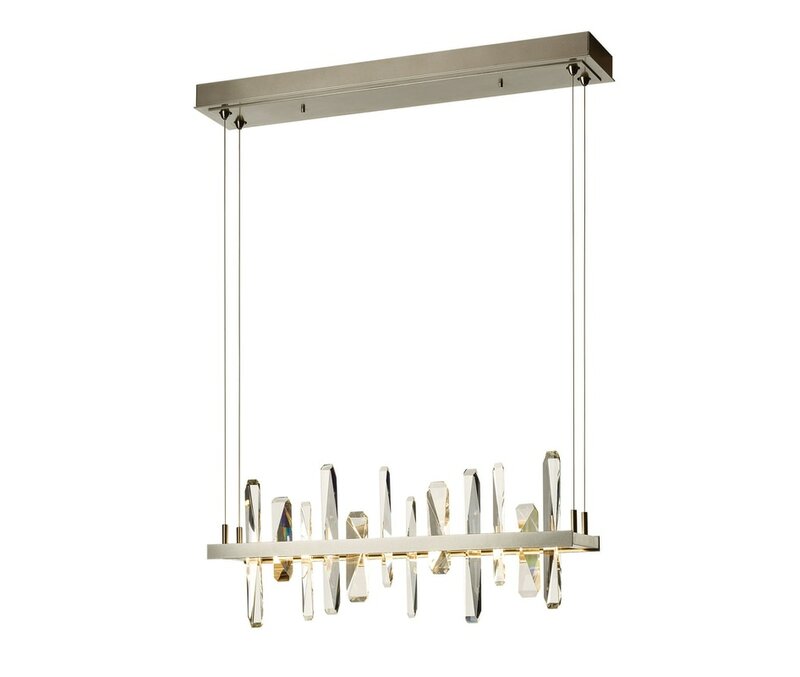 An LED pendant that brings the dazzle and glamour of solid crystal to magic! 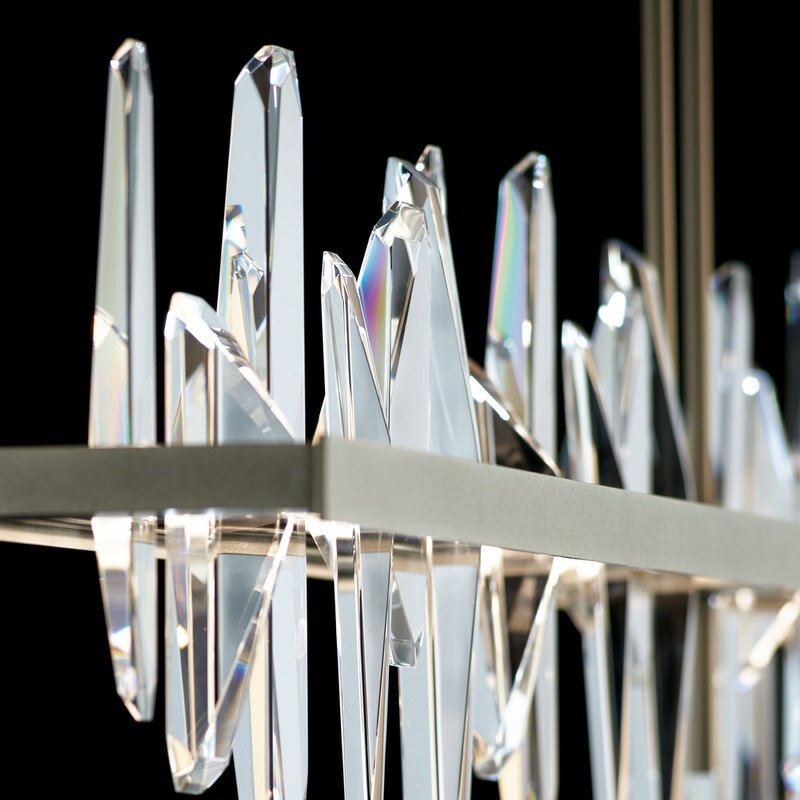 A floating island of angular crystal towers provides the visual aesthetics for this distinctive pendant. Each crystal rises from an LED light guide. LED pendant brilliance fused with Swarovski Strass Wave Cut crystals. 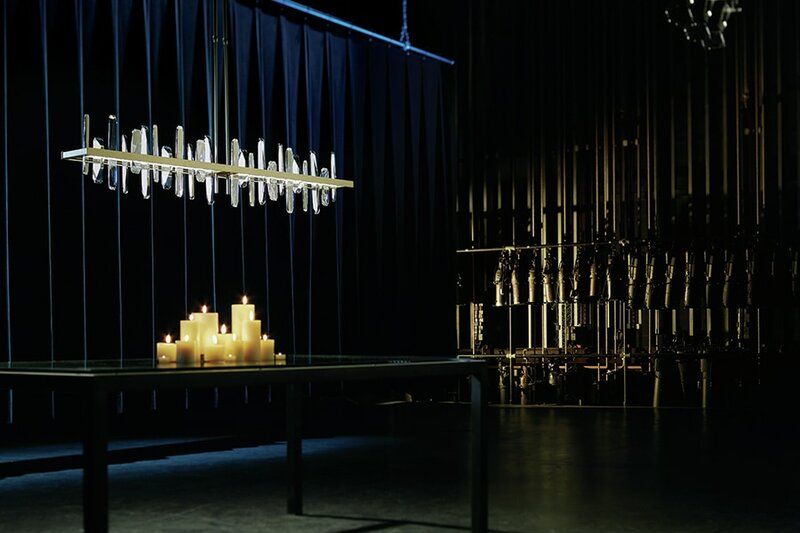 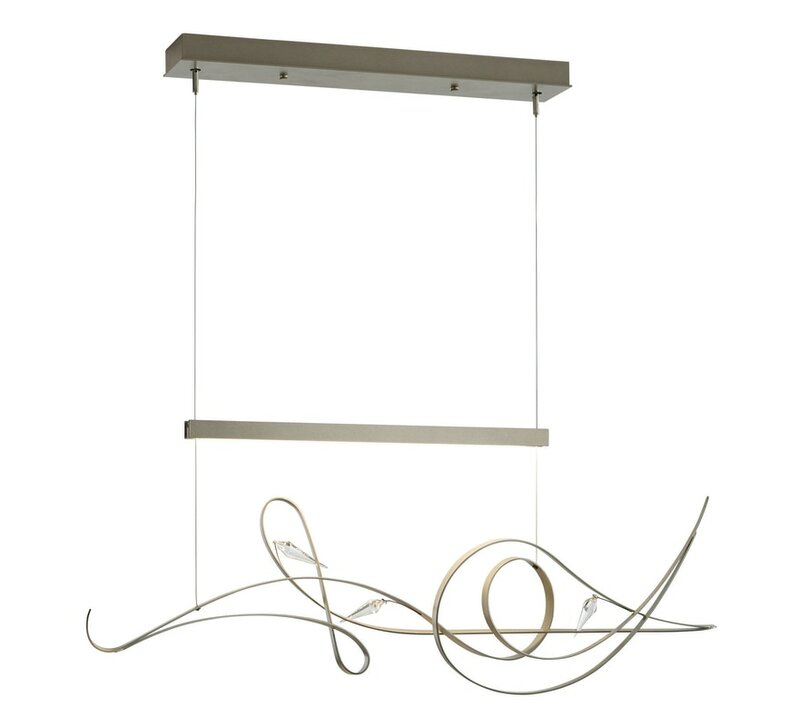 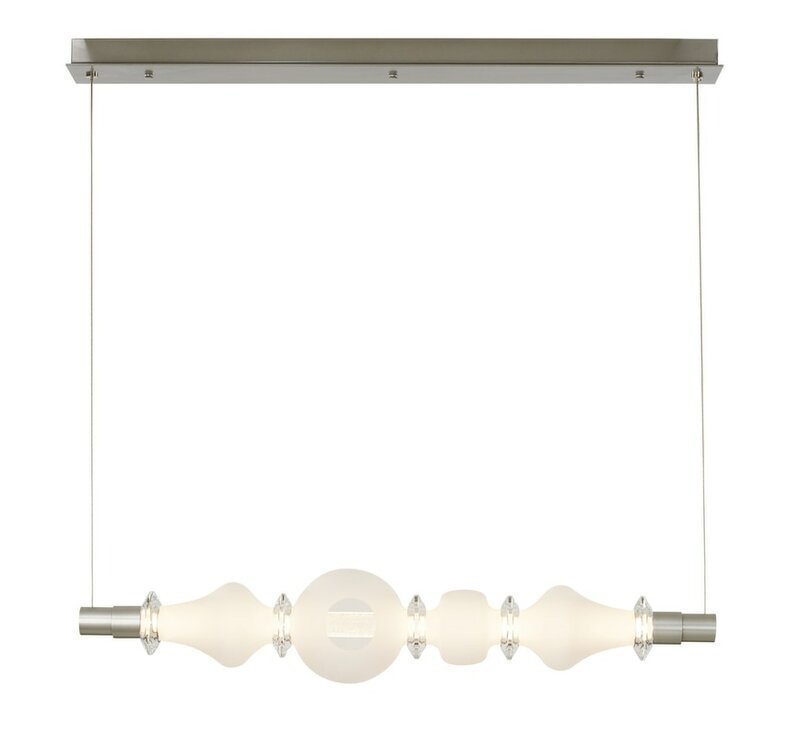 The Courbé collection gently arches LED light guides are hidden within channels of steel providing up- and down-light. 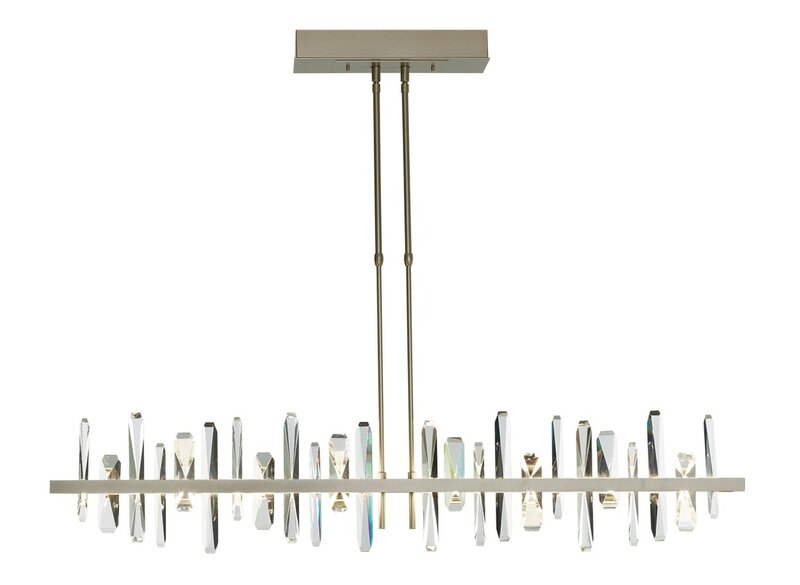 Flowing steel tendrils have been carefully crafted to embrace the curves of six exclusive Swarovski Strass Wave Cut crystals, bringing a sculptural touch with each dazzling curve. 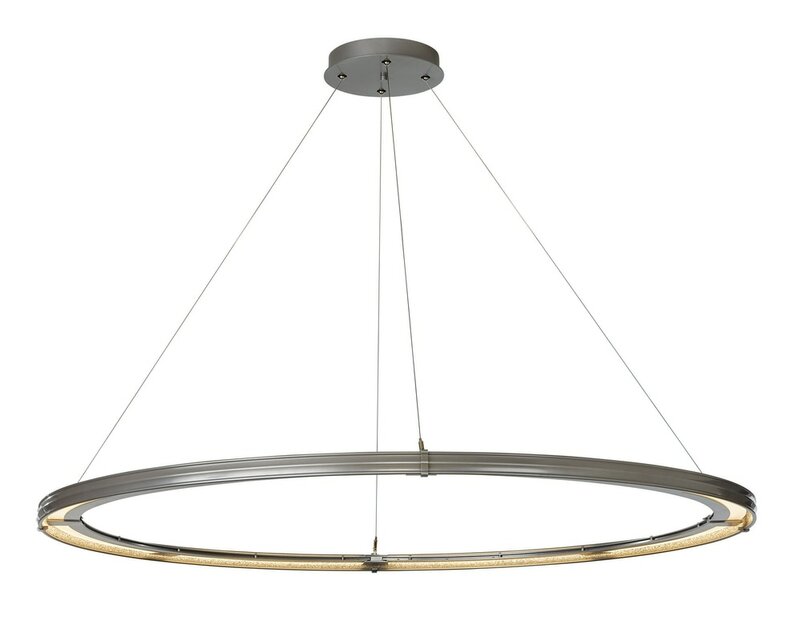 Standard finish options include: Mahogany, Bronze, Dark Smoke, Burnished Steel, Black and Natural Iron finishes. 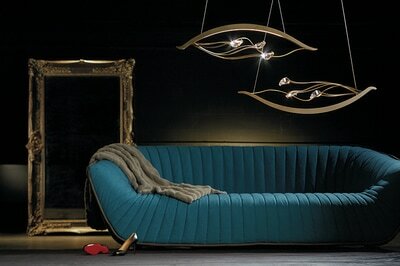 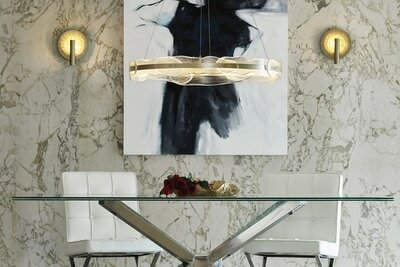 LED pendant sophistication and art handcrafted for you! Each of the textured glass panels is unique — made by artisans at AO Glass. 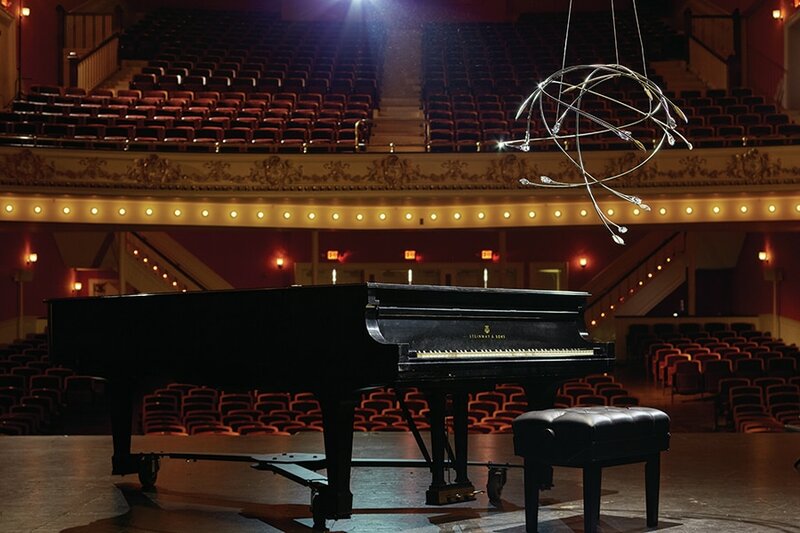 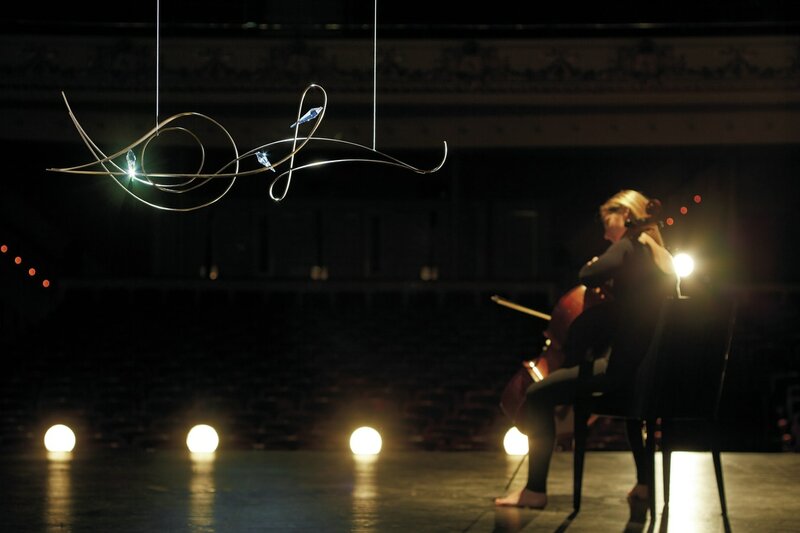 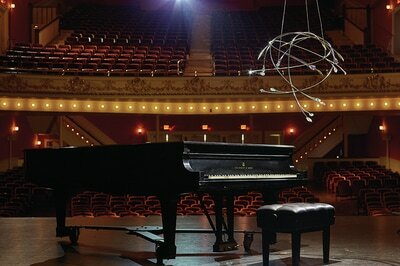 LED pendants that will turn your room beautifully musical! 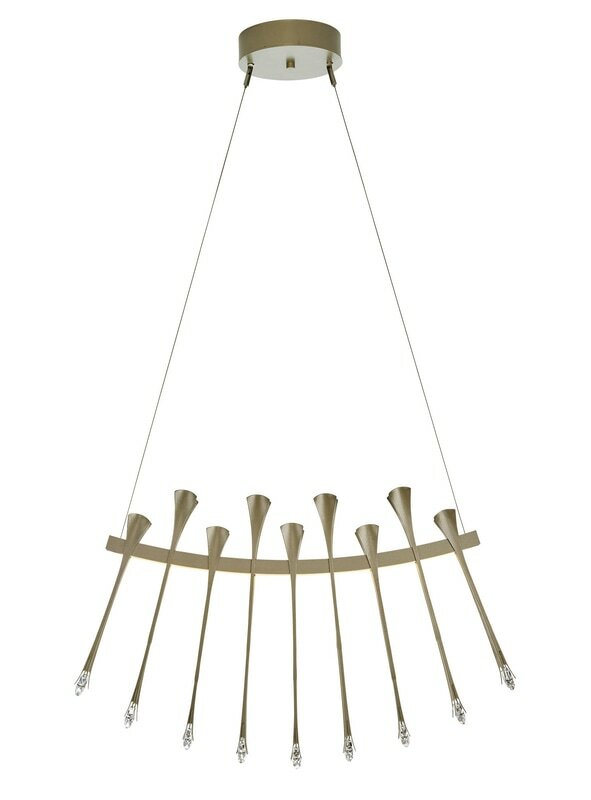 Elegance with an edge — bold sculptural quills of forged steel with tines grasping Swarovski Boomerang crystals. 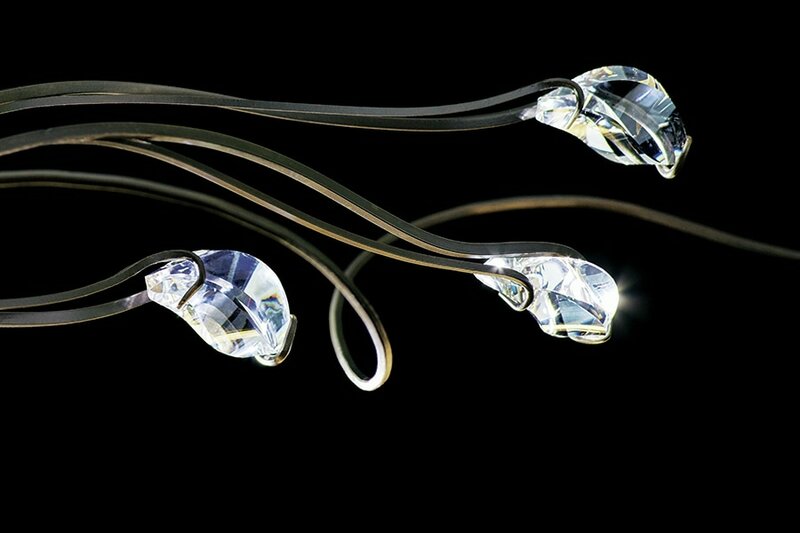 LED pendants that merge brilliant petite Swarovski crystals and a modern, minimalist look! 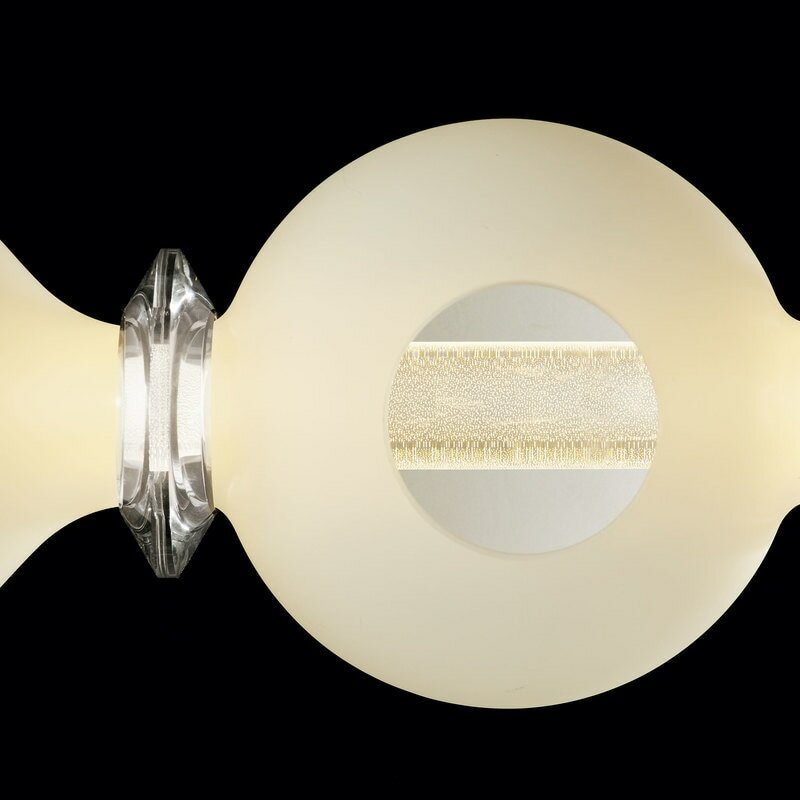 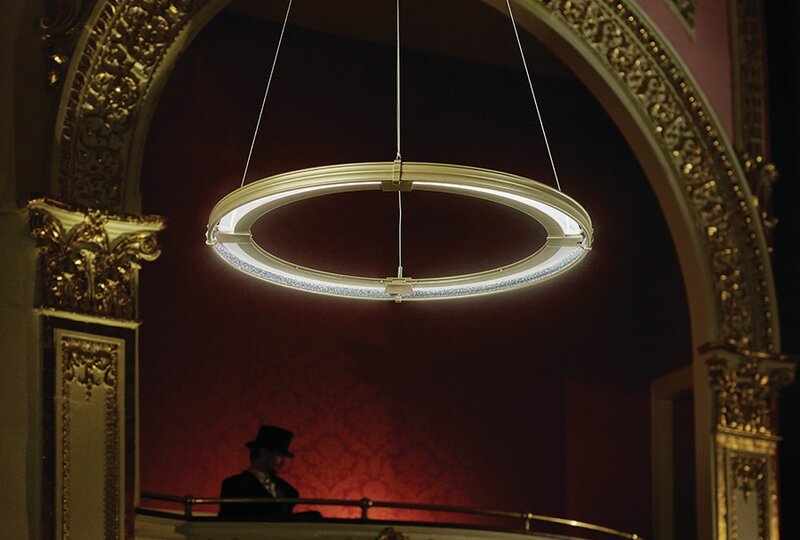 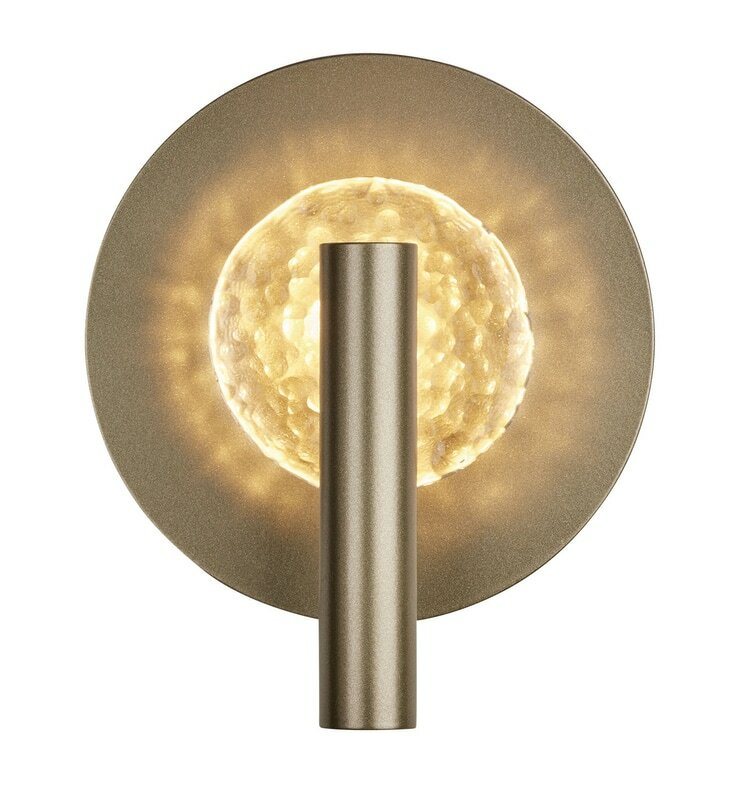 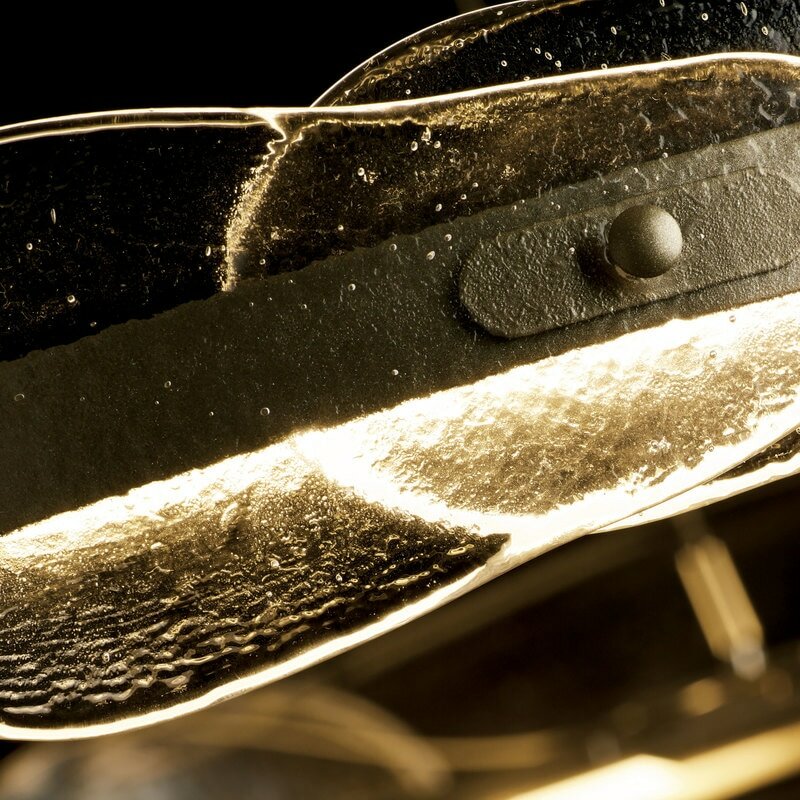 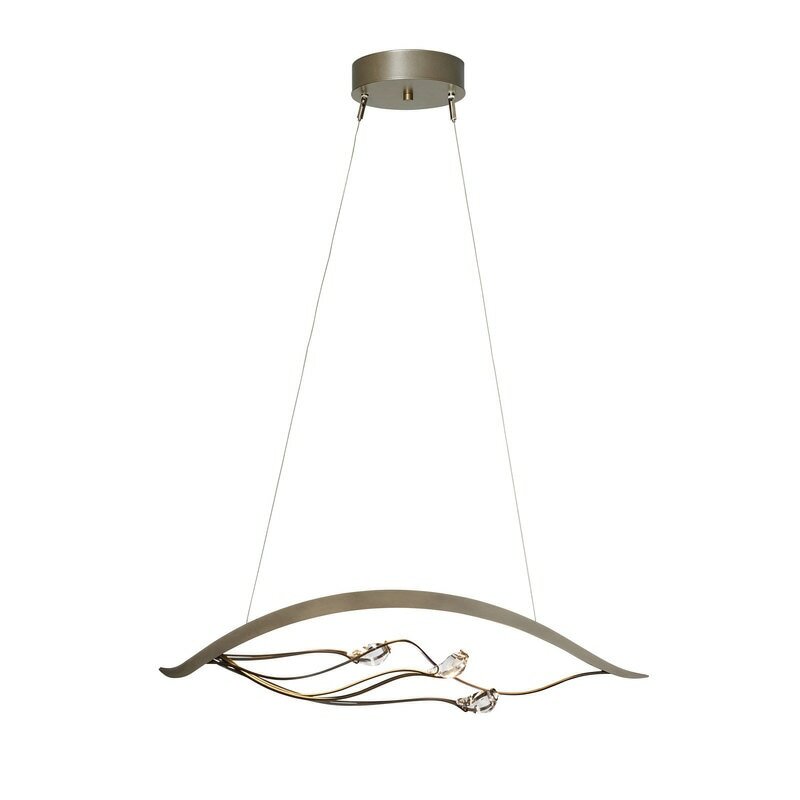 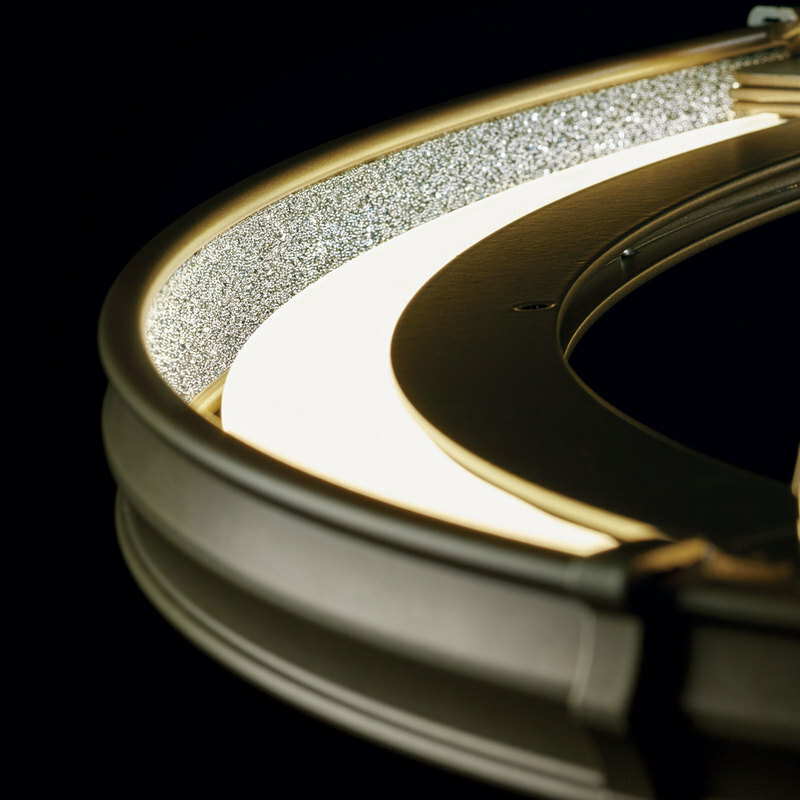 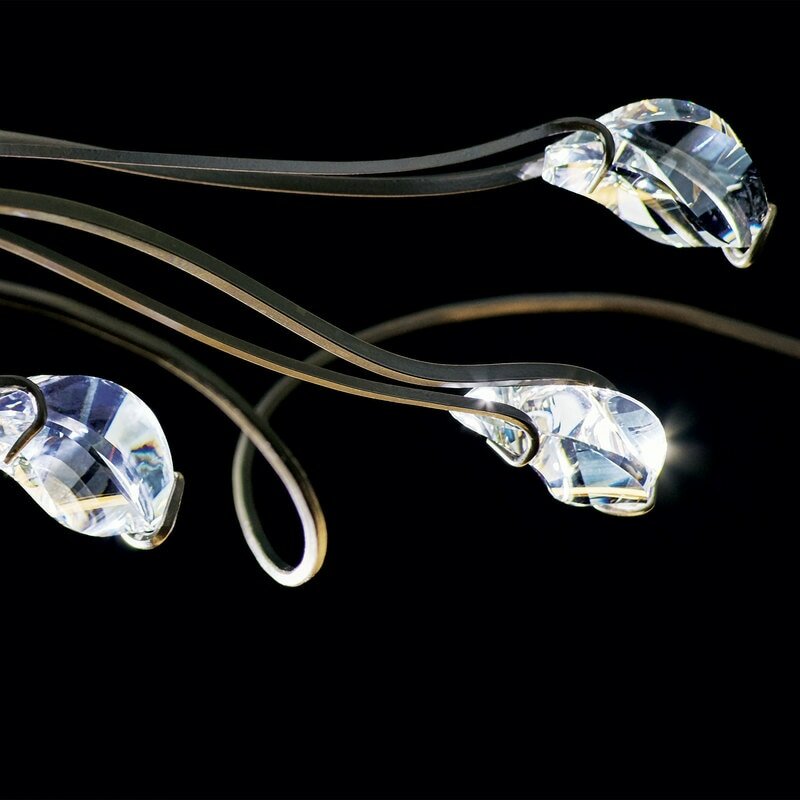 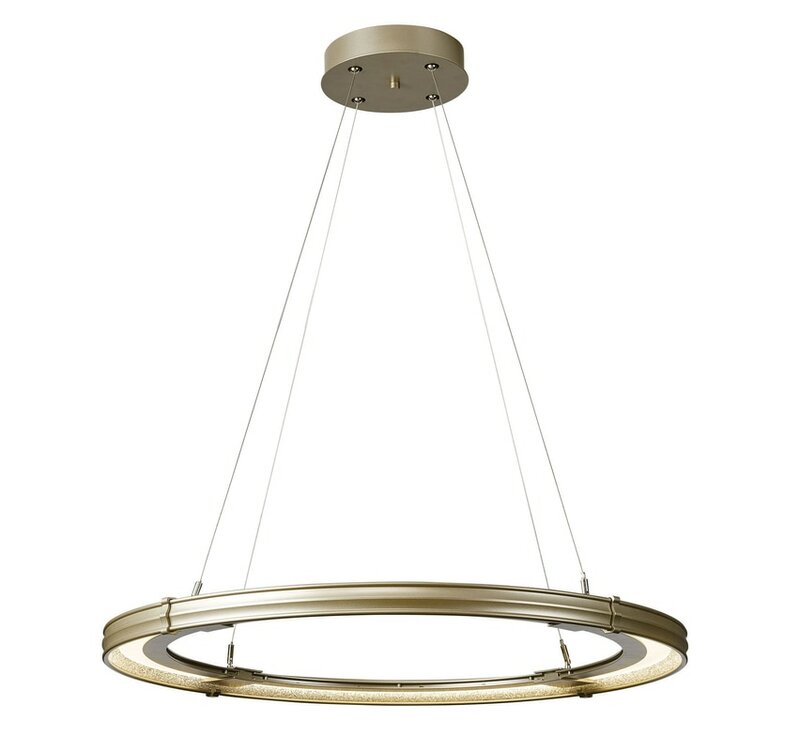 ​The LED light guide provides up- and down-lighting from this beautifully crafted circlet. 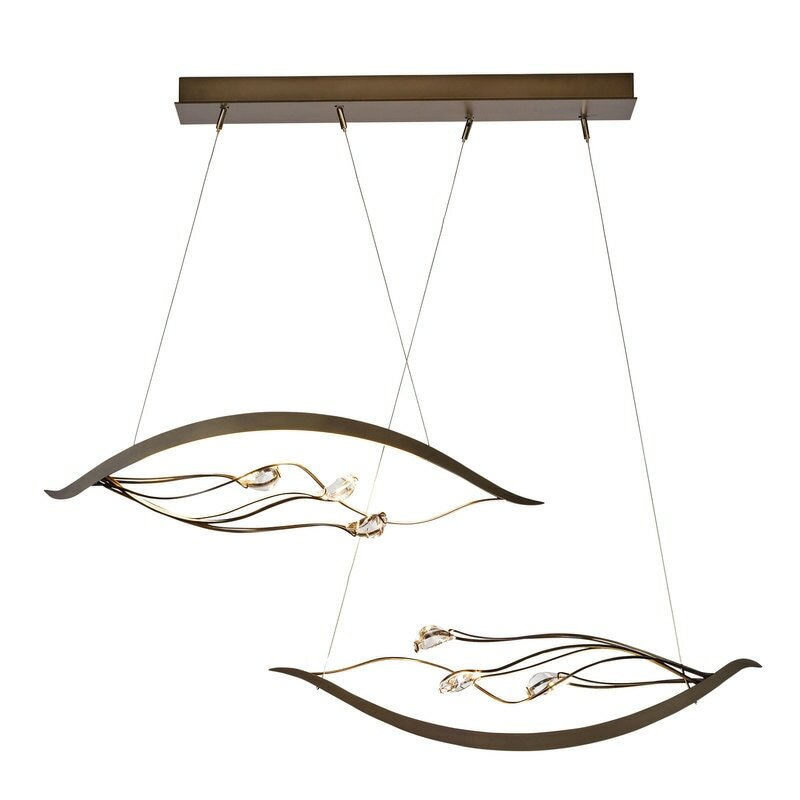 Standard finish options include: Mahogany, Bronze, Dark Smoke, Burnished Steel, Black and Natural Iron finishes. 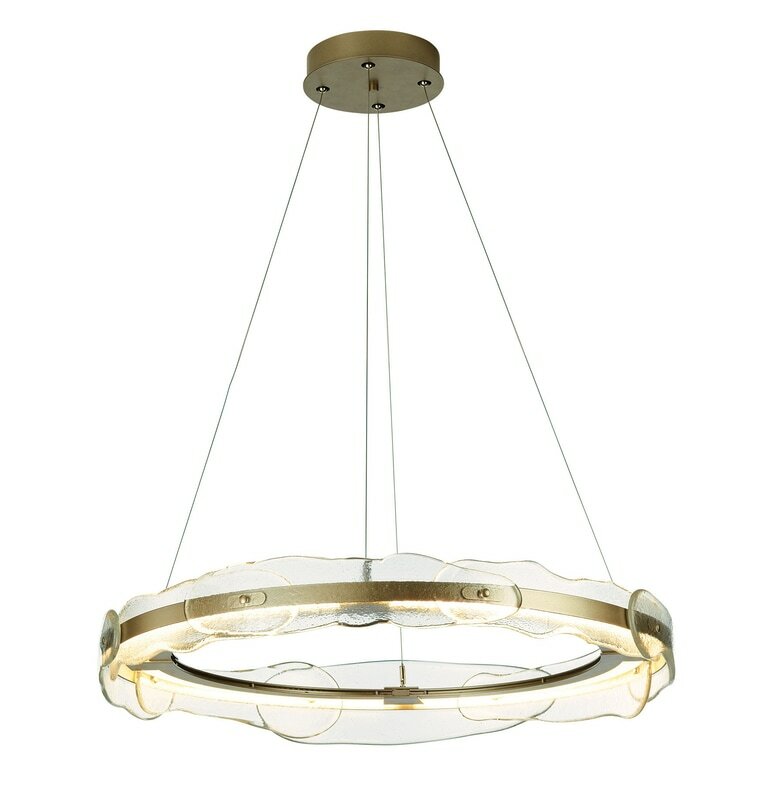 Accent: Soft Gold or Vintage Platinum. 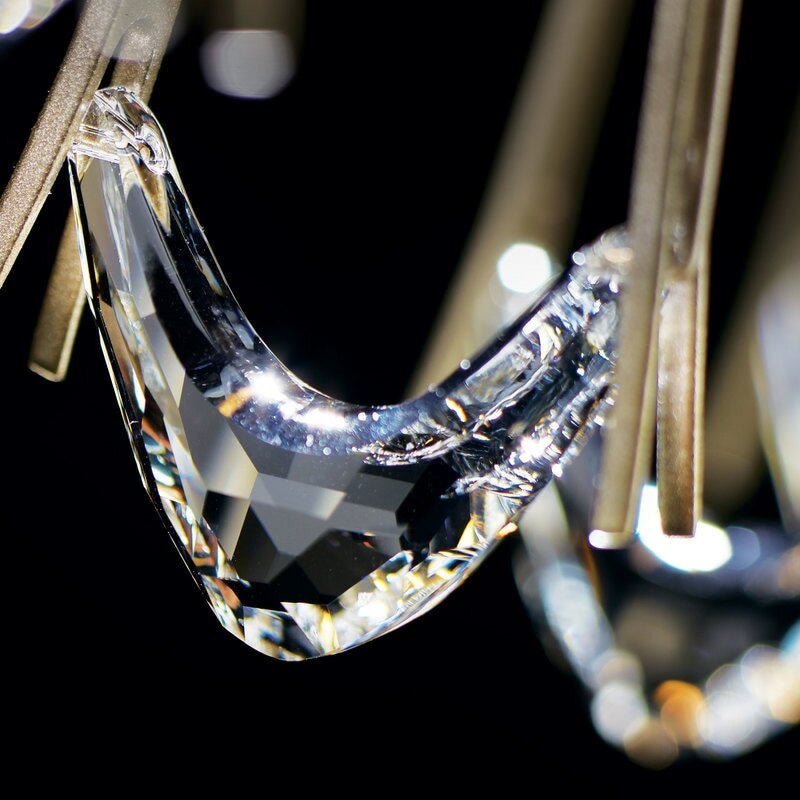 A laser-etched light guide passes through glass and crystal to cast a beautiful glow from your creation! 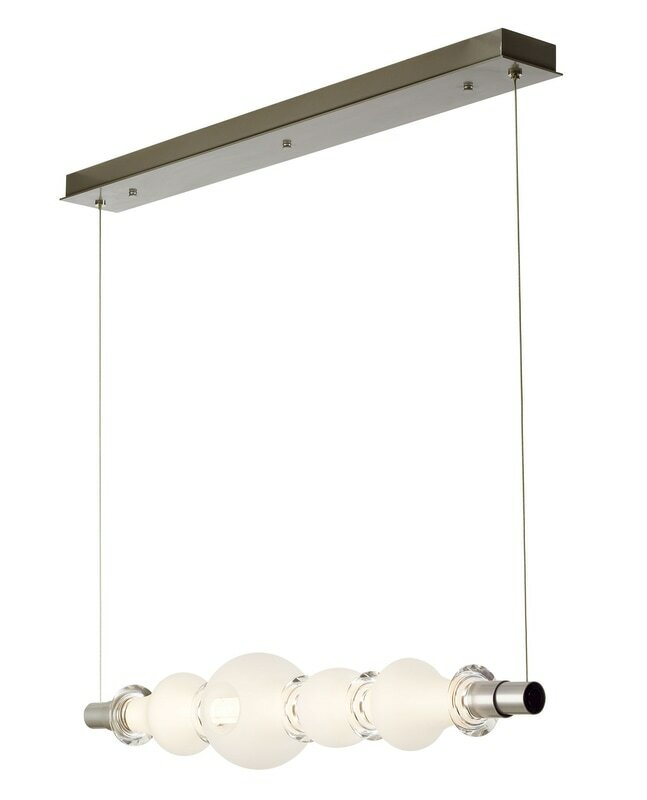 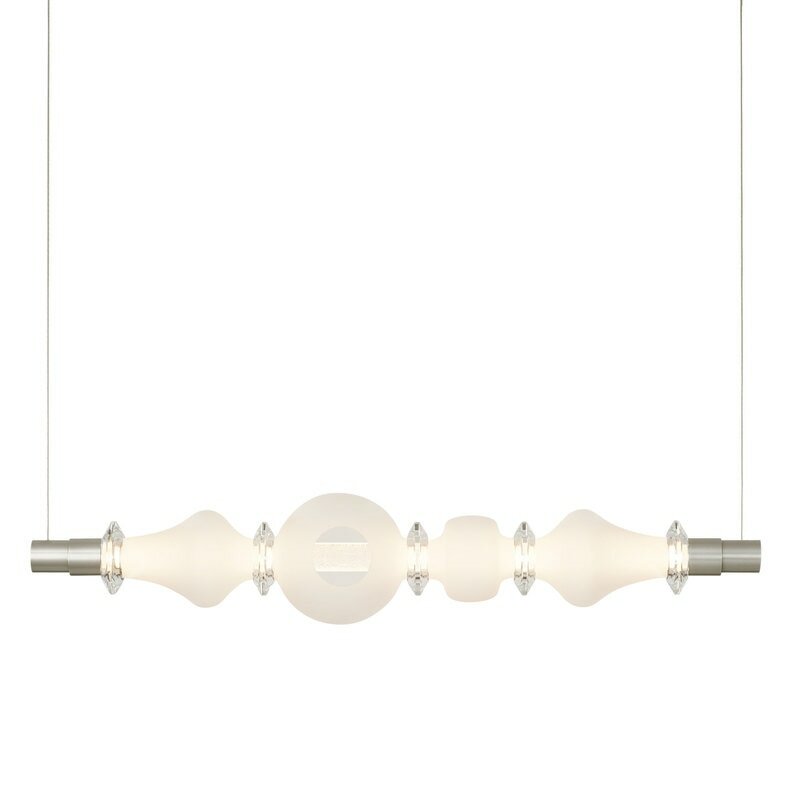 Adjustable cable-hung LED linear pendant with optical crystals and handblown glass. For more collections from Synchronicity, click here!